While no one is going to mistake Columbus for Portland, San Diego or Brussels, the list of breweries in Ohio’s capital city is a rapidly expanding list. Columbus is home to at fifteen different breweries (plus a Gordon Biersch and a Budweiser plant). This guide contains all that you need to know to start your Columbus beer journey. For more information on each brewery just click on the brewery name to be directed to their website. 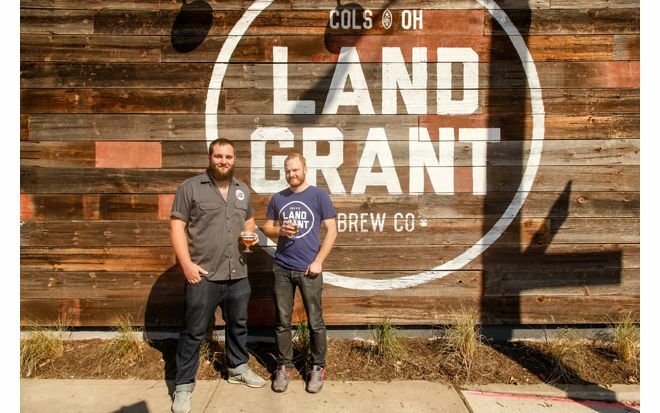 Located in the Brewery District this is Columbus’ biggest and oldest brewery, in fact among Ohio craft breweries only Cleveland’s Great Lakes Brewing is older. Although they make a variety of beers they excel at IPAs, pale ales, and other hop-forward beers. The flagship beer is the IPA, which features big time grapefruit smell and taste. It’s bottled and widely available on tap throughout the city. Bodhi is a delectable double IPA that is one of the most sought after beers in Ohio, and silver medalist in the IPA category at the 2014 GABF. Unfortunately Bodhi is only available on tap, but the explosion of growler shops around town means that it is readily available in many more places than it was just a few years ago. Their triple IPA Creeper took home the gold medal at the 2014 GABF in the imperial IPA category and their Kellerbier Summer Teeth won a bronze medal at the 2010 GABF, Their Amber Ale Uncle Rusty, which is a very hoppy amber, won a gold medal at the 2014 World Beer Championships. 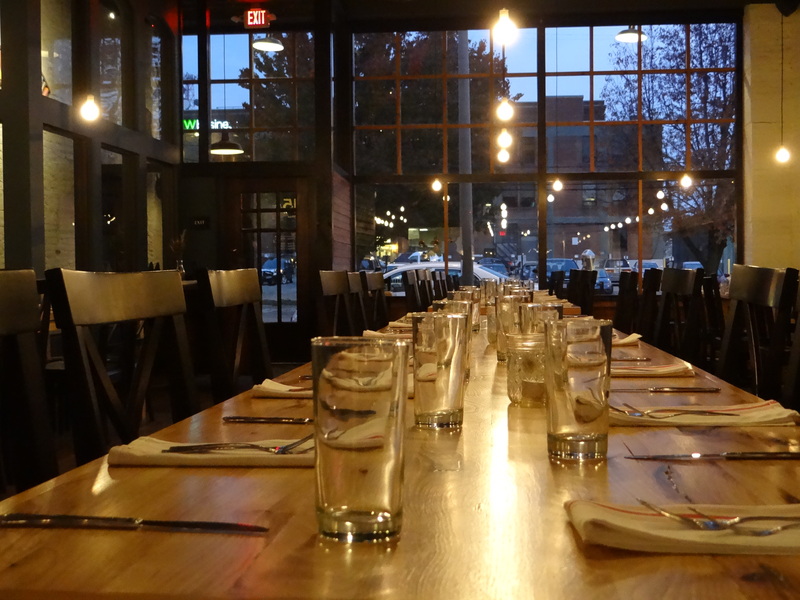 The Columbus Brewing Co. restaurant is an upscale brewpub. Interestingly the restaurant and the brewery are owned by different people and at times the selection of CBC beers at the restaurant is not as stellar as you would think, but to their credit they generally fill out the tap list with other local breweries. 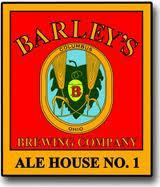 Barley’s brewery and alehouse is located on High Street in the Short North District, right next to the North Market. 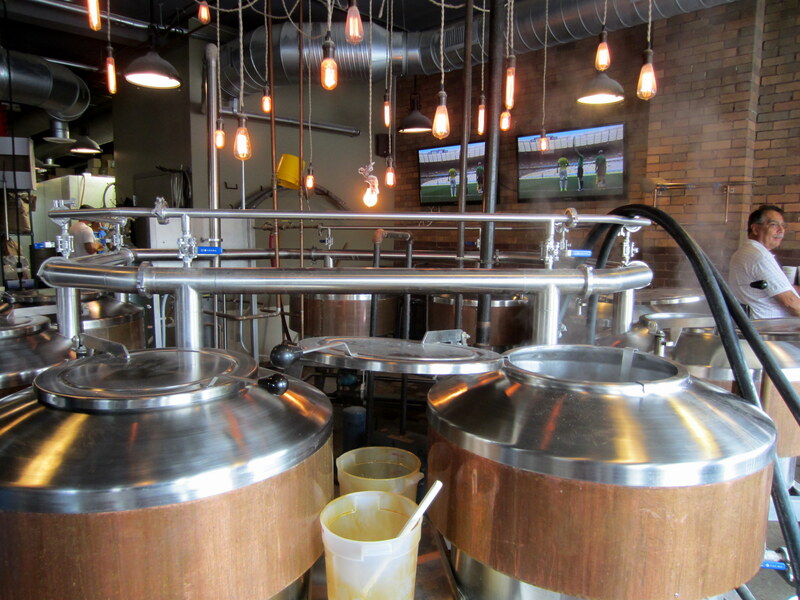 The Alehouse is a full scale brewpub that makes good pub food. Try their sauerkraut balls for an appetizer if you go. They don’t bottle their beer, but you can get growlers. The If you want something a little different try the Blood Thirst Wheat a Hefeweizen brewed with Bavarian wheat yeast and the zest of Sicilian blood oranges. Their McLenny’s Scottish Ale is their most distinctive and best selling beer. Brewer Angelo Signorino makes this beer by pre-heating the brew kettle so that when the malts are added they caramelize giving it the distinctive malty flavor of a Scottish Ale. Every Friday they tap a cask conditioned firkin of one of their ales and serve until it runs out, which is usually later in the weekend. I should also mention that Studio 35, which is a movie theater and drafthouse on Indianola Avenue, often has a number of Barley’s beers on tap including some that are brewed specially for movie releases. This brewery was formerly known as Barley’s Smokehouse and Brewpub. In the spring of 2014 they rebranded themselves as an independent entity from Barley’s Alehouse. Despite the fact that they are independently owned, Smokehouse and Barley’s share the same brewmaster (Angelo Signorino), and there is generally some overlap in the taplists of the two establishments. They are known for their wings, bbq and other tasty food. Located south of Barley’s on High Street, the Elevator brewpub is located in a gorgeous old building with stained glass windows and a lot of ornately carved dark wood. It’s a classy joint with good upscale food. It’s got great ambiance, a good choice for a night out with your significant other or visiting out of town guest. 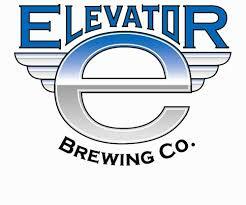 Elevator is the second largest of the Columbus area breweries, and several of their beers are bottled and available in stores around town. I recommend starting with Big Vic Imperial IPA a beer that hits you with a bouquet of tropical fruits and floral notes (click here to read my review). The 13th floor tap room, located at the production facility (but not actually on the 13th floor) a few blocks away from the restaurant, is open to the public on Saturdays. Located in Grandview Four Strings takes its name from the other passion of its owner, Dan Cochran, a bass player who has played for a variety of bands. 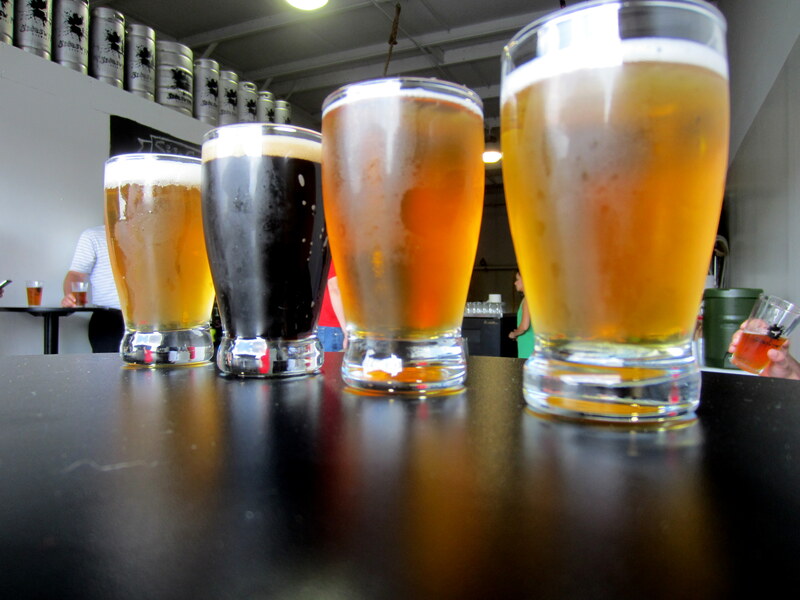 They make four core beers that are served on tap around town: Backstage Blonde a Belgian Blonde, Brass Knuckles an American Pale Ale, Big Star a White IPA, and Suncaster a Summer Wheat Ale. Big Star, which mixes citrus notes from American hops with spicy, fruity byproducts of a Belgian yeasts, is probably my favorite. The tap room is open on Thursdays, Fridays and Saturdays. Stop by between 4-7 pm for happy hour and get a pint for $3. 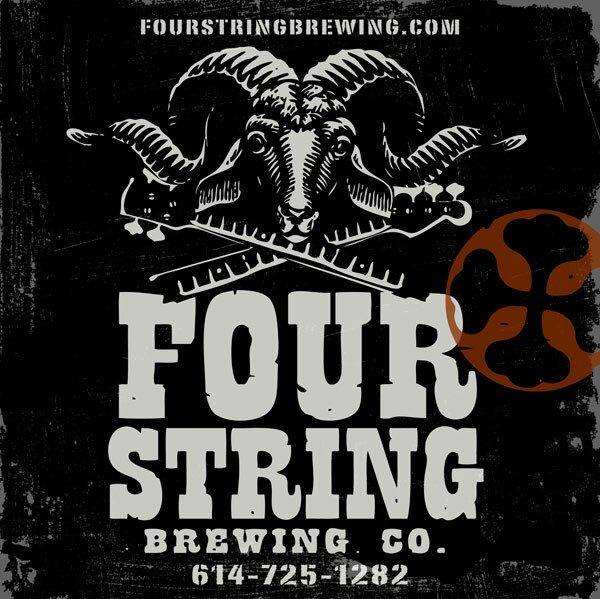 Three Four Strings beers, Brass Knuckles, Big Star, and Vanilla Porter are available in cans. Located at the corner of 4th Street and 4th Avenue, in Italian Village a little north of downtown. The brewery is located in a re-purposed auto garage. It’s a chill, spacious location with large outdoor concrete patios in the front and the rear. The brewery draws a hip, young crowd that can get pretty big on the weekends. They don’t serve food but there is always a food truck on site. They push the envelope with their beers and don’t pay too much attention to conventional style guidelines. The result can be a little hit or miss, but when they get it right the beer is worth seeking out. Notable beers include Seventh Son American Strong Ale, which reminds me a little of a Flanders Red Ale (not as sour though) with ample grapefruit and other citrus fruit highlights, Humulus Nimbus Super Pale Ale a beer that showcases Mosaic and Simcoe hops, and Golden Ratio IPA is a unique concoction that uses New Zealand hops to combine dank green hop aroma with juicy tropical fruits. One of the best Seventh Son beers I’ve had is Urban Cowboy, which is a Belgian Stout brewed in collaboration with Rockmill Brewery in Lancaster, but it was a limited release so it could be hard to track down. If you only try one beer: Wildcard! This microbrewery is located on high street at the north end of the Short North district just south of the Short North Kroger. They have a wide selection of beers and the tap list changes frequently. Perhaps the closest thing to a flagship beer is their Wildcard! which is an English-style ale, aged with vanilla beans and served on nitro, the vanilla is subtle and nicely compliments the malts. It’s a very accessible beer that people who aren’t that much into craft beer can enjoy. The Hefeweizen, Citra Smash and Milk Stout are also worth checking out. A unique attraction of this brewery is the fact that you can brew your own beer there. There are a ton of cool features about their space, including a wall of post office boxes from New Orleans where regulars store their mugs and a lot of architectural features taken from old buildings at nearby Ohio State University. Wolf’s Ridge opened in October of 2013 and is located on N. 4th Street 1-2 block north of the Elevator 13th floor taproom (and few miles south of Seventh Son Brewing). This is a place where the food and beer vie for equal billing, and either would be well worth a visit. The beers here are always clean, crisp and to style. I was very impressed with their Belgian dubbel (Beta) and trippel (Alpha) during my last visit, but the IPAs are good too. 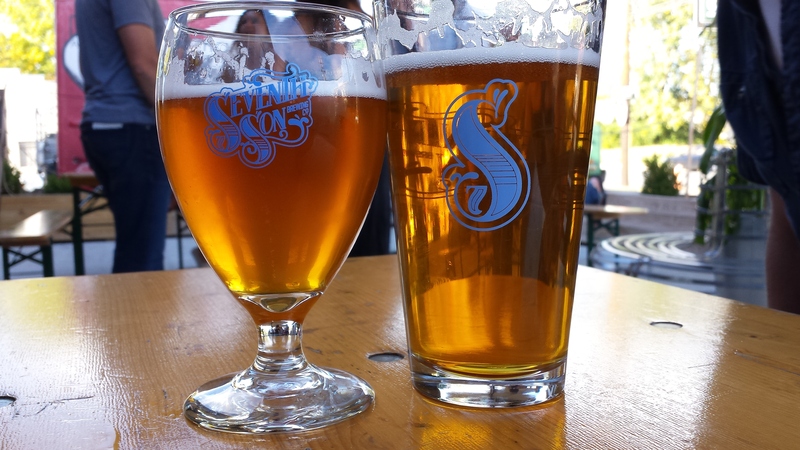 They are one of the few breweries in town that brew lagers. If you like smoked beers and are lucky enough to find it on tap, don’t miss the chance to try their Rauchbier, Buchenrauch. The menu centers around upscale, locally sourced, freshly prepared food and the food here is fantastic. It was voted best new restaurant in Columbus in 2013. If you are going to head to a brewery for a nice meal this is the place to go. Check out my writeup of Wolf’s Ridge that I wrote in November 2014. A tap room is in the works. The restaurant at Wolf’s Ridge as the sun sets on a brisk November day. 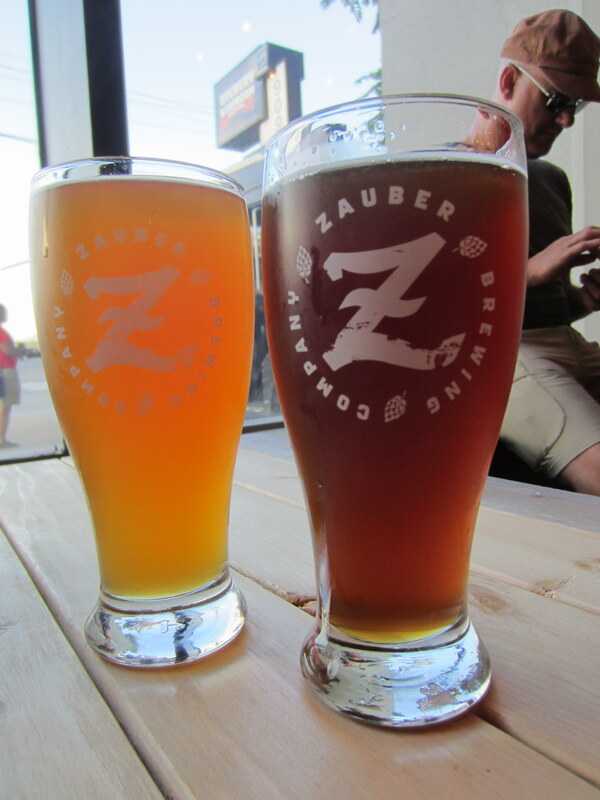 Located in Grandview a block or so from Four String Brewing, Zauber’s philosophy is to put an American twist on German and Belgian styles of beer. Initially the volume of beer they brewed was not enough to keep up with demand, and Zauber beer was only available on tap 1-2 days a week (even at the brewery), but since expanding their brewing capacity in the summer of 2014 Zauber beers are always pouring at the brewery and can be found on tap in a variety of places around Columbus. The Vertigo Hefeweizen is a very authentic take on the style, and the Portergeist is part porter and part swartzbier. It’s particularly tasty if they are pouring it on nitro, as they often do. It’s not always on tap but if you get a chance to try the Roggen Rye, a roggenbier with that combines the spicy notes of rye malts with the banana/clove notes of a weiss beer don’t pass it up. Like Seventh Son there is almost always a food truck on site. This is another brewery that came into existence in late 2013, they are located in the vicinity of the Columbus airport. The taproom has the laid back vibe of a college apartment. Their beers are bottled and can be found at some of the better beer stores around town (Weiland’s Market for sure). Fat Julian, which is the first beer they released, is a damn good Imperial Stout. Their lineup includes Orthodox Winter IPA which is essentially a hopped up porter, Curiosus a refreshing Berliner Weiss, and Conductor Imperial Rye, which may be the best RyePA made anywhere. Their colorful labels are the best in town hands down (although Sideswipe would be the obvious runner up) and have been featured in Beer Advocate magazine. Check out my profile of Actual and their colorful owner Fred Lee. Yet another recent addition to the Columbus beer scene. They are a small operation located just west of Grandview Heights. 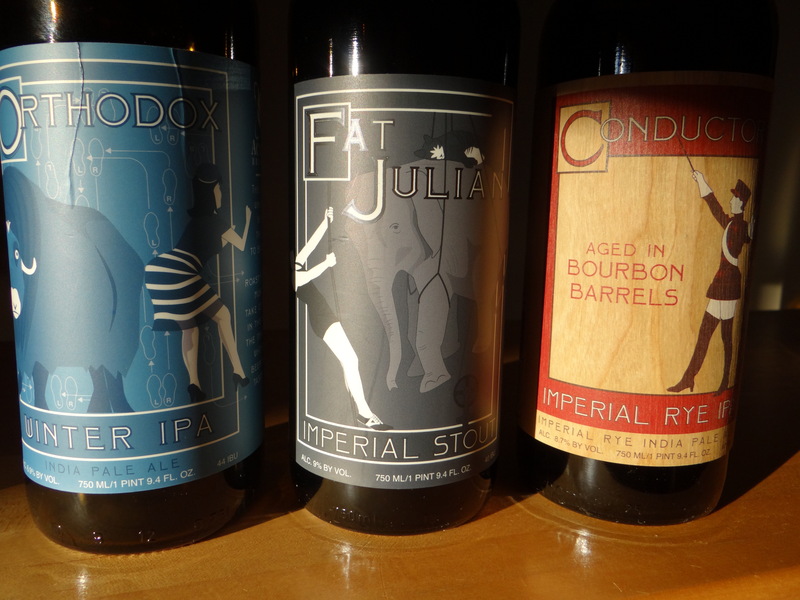 Their beers can be found in 22 oz bottles on the shelves of select Columbus area beer stores. At the present time they make four beers, Elegant Hoodlum Smoke Stout, Fisticuffs IPA, Coop Looter Saision and Pixelated Sun Hoppy Wheat, plus various seasonals. Everything I’ve tried so far are quality beers that get a thumbs up from me. The brewery taproom is only open on Thursday evenings. 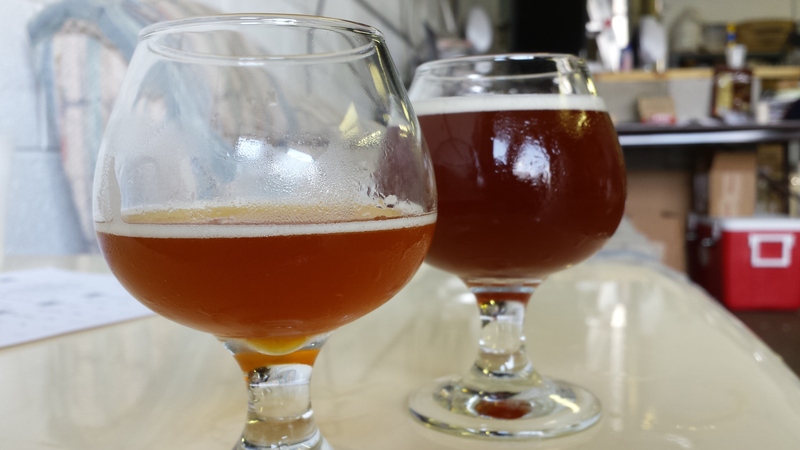 Click here for a review of the tap room grand opening. Located in an industrial space in Worthington that sits in the shadow of the massive Budweiser plant. Zaftig opened for business in February 2014 and specializes in high gravity beers, so don’t be surprised to see half or more of the beers in the double digit abv range. My two favorites are the Heavy Hearted Amber, which I’d describe as an amped up English Ale, and the Wee Heavy, which is a complex, decadent and delicious. At the present time their production is still very small so the brewery is more like a large homebrewing operation than a commercial brewery. Their beers are not bottled and not that easy to find on tap. The best bet is to visit the brewery/tasting room. Click here for a post describing my visit to the tasting room along with short reviews of each Zaftig beer. One of Columbus’ newest breweries. Two of the owners are alumni of Ohio State University and they wanted a name to reflect a connection to one of the anchors of the Columbus community. They had to drop their initial moniker, Oval Brewing, when trademark objections were raised by an Australian distillery of the same name. The atmosphere at the brewery is the most sports-centric of any Columbus brewery. So if you’re looking to watch the game while throwing back a few local beers this is the place to go. Photo taken from a Columbus Alive article by Nicholas Dekker. If you only try one beer: ? 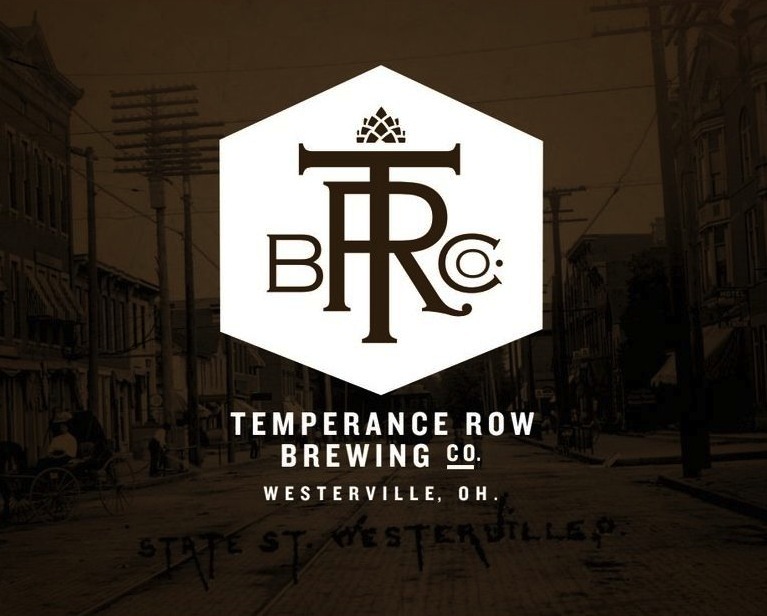 Located in Westerville, OH the former center of the prohibition movement, Temperance Row is the newest kid on the block (for now). As of this writing they are now on a soft open (as of late December 2014) and I’ve yet to visit the brewery myself. The head brewer at Temperance Row is none other than Scott Francis, who also started Columbus Brewing Co. and Barley’s Ale House. Temperance Row shares it’s space with Uptown Deli, so it figures this is a good place to get a sandwich and a pint. There’s no extra charge to go out and dance on the graves of prohibitionists with a glass of English-ale in hand. You should warn people to be wary of Elevators Ghost Scorpion Lager. I love hot food and spicy stouts are becoming my favorite beer style. But spicy light lagers are evil vicious palate scorching things. Ghost Scorpion does to your tongue what the US did to Vietnam… and I once chugged it. I also love hot spicy food, but I agree 100% that a lighter lager is not the beer to add spices too. It sounds like drinking capsaicin oil straight up. Maybe someone should have captured you on video after chugging it, it sounds like one of those videos on youtube where someone eats a ghost pepper and then writhes in pain for the next hour. I haven’t had any spicy stouts but that combination sounds intriguing. What are some good examples of the style? Sadly there aren’t any widely available examples as most are one offs and usually draft only.